1 Bedroom Flat For Sale in Halifax for Asking Price £80,000. 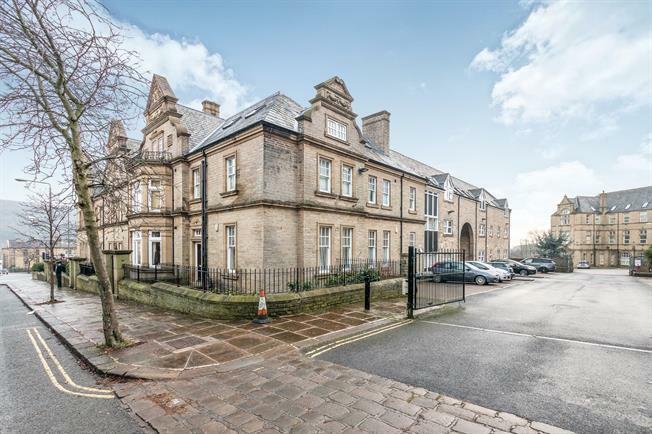 This magnificent 1 double bedroom penthouse apartment is located in the town centre with everything you would need within walking distance and located within the historic former Halifax Magistrates Court and provides ample living space. Briefly comprising an entrance hall, large and spacious open plan lounge and modern fitted kitchen, a double bedroom and stylish family bathroom. This property has the added benefit of allocated parking and secure intercom entry system and would make an ideal purchase for a first time buyer or investor and an early inspection is strong advised. Front door. Electric heater, laminate flooring, painted plaster ceiling and ceiling light. Double aspect double glazed wood windows and skylight windows facing the front and rear. Electric heater, laminate flooring, tiled splashbacks, painted plaster ceiling and downlights. A range of base units with complementary work surface, stainless steel one and a half bowl sink with mixer tap and drainer, integrated oven and hob with over hob extractor, space for dryer and fridge/freezer. Double bedroom with double glazed wood skylight window. Electric heater, carpeted flooring, painted plaster ceiling and ceiling light. Double glazed wood skylight window. Heated towel rail, vinyl flooring, tiled walls, painted plaster ceiling and downlights. Concealed cistern WC, panelled bath with mixer tap, shower over bath, wall-mounted sink and extractor fan.